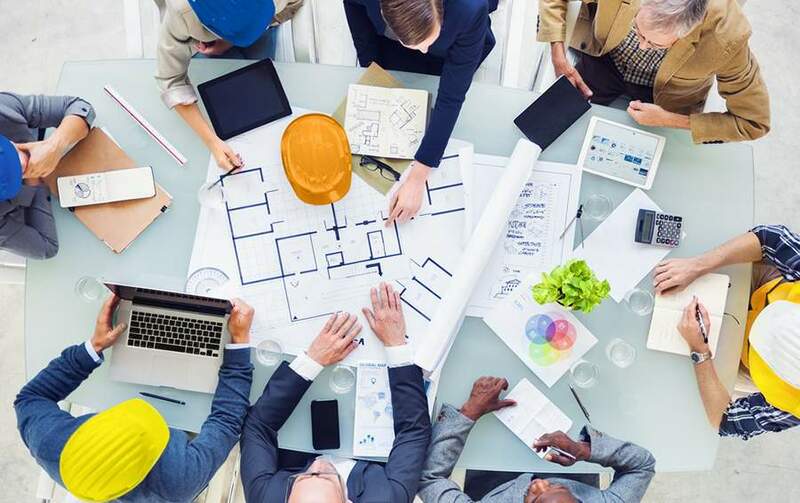 What is different between An Architect and a Designer? The whole world mourned with residents of California when news spread that the homes were being ravaged by wildfire. Even though the United States is not new to these disasters (an average of 77,000 wildfires occur yearly), this 2017 California wildfire has been particularly devastating. Experts estimate that at least 500 thousand acres were burned, with the Thomas fire which occurred in December 2017 doing the most damage. The United States Forest Service reported that this fire consumed a whopping 282 thousand acres, destroying 1063 structures, meanwhile damaging 280. The cost of dealing with these California wildfires (fighting the fire and containing the aftermath) will sum up to billions of dollars. The state of emergency declared in certain counties will also see losses being incurred in the community. The loss of lives, destruction to infrastructure, and environmental decomposition will take a while to recover from. It is estimated that the loss of revenue which was formerly generated from companies, vineyards, and workers paying tax will be extremely costly, amounting to billions of dollars. Also, the dent in California’s budget, bond ratings, interest rate, etc. will experience the heat too. In all, if this California wildfire season is not properly contained, the economic impact could exceed 100 billion dollars. It also does not help that the emergency fund for this 2017 Californian wildfire has been depleted. The chief of Forest Service, Tony Tooke, was reported saying that this California wildfire in 2017 has smashed existing records as regards the funds expended, acres burned, and the duration of the fire. According to a study published by the United States National Academy of Sciences, the impact of human actions on climate change has gained ground exceedingly. This is, perhaps, why the acres consumed by wildfires has doubled in 21 years. According to one of the authors of this study; Park Williams, warming is one of the obvious causes of the California wildfire season and fuels dry out in a quicker fashion in these conditions. Statistics also reveal that the summer prior to the 2017 California wildfire was the hottest ever. There was a pervasive heatwave experienced in the state with temperatures reaching 120 degrees. Weather forecasters will likely remember that California just had a break from a 6-year drought, a condition experts claim added more fuel to the fire. The Environmental protection agency also explained that the southern area of California was 3 degrees warmer. 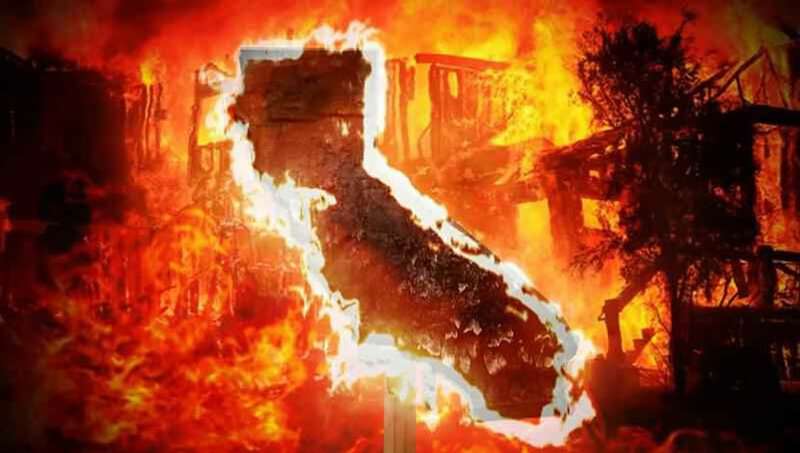 In essence, increased temperatures, lower accumulation of snow, and a troubling dearth of rainfall made the California Wildfire season a grand success and there are good chances of this happening again. 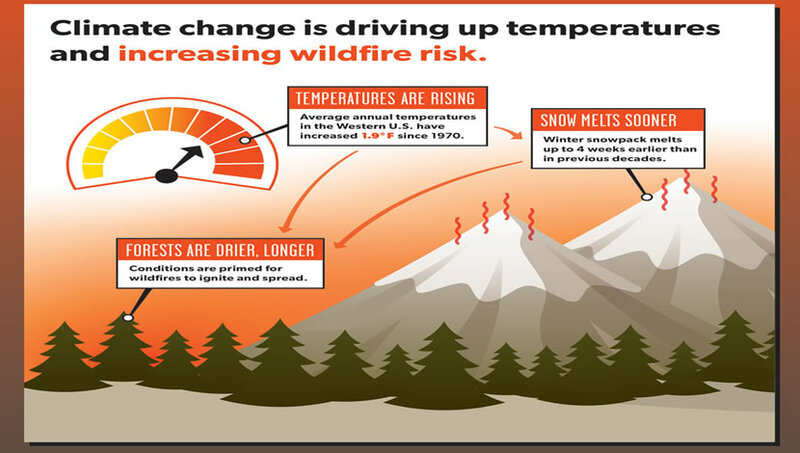 This prediction is backed by the National Interagency Fire Center’s data which shows an exponential increase in the acres consumed by fire in the last 3 decades. As at 1982, the average wildfire consumed just 25 acres, however, the value is well over 100 in recent times. 2017 California wildfire has also burned more acres than the annual average combined for the last 5 years. No thanks to development and modernization, over 2 million Californian homes are located in zones where the probability of wildfire is extremely high. Verisk, in the same risk analysis study, revealed that 12% of the total homes in California are built in areas where the probability of a wildfire occurring is one in two. California is currently experiencing an increasing population and this has caused residential neighborhoods to spill into remote areas. This means that the necessary burning of dry vegetation under controlled conditions in these areas are now hazardous to the residents. Even though this is an important aspect of managing the risk of wildfire, the risk is just too high. The implication of this is that when a wildfire erupts, a large area of vegetation waiting to be burned is consumed with fire; quickening the wildfire process. 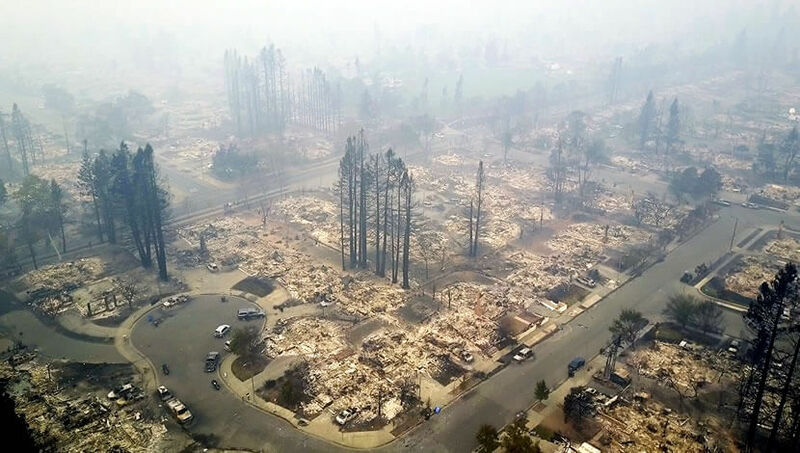 While we sympathize with the homeowners and business owners, it is important to take critical lessons in ensuring that your structure is well equipped to withstand the next round of California wildfire season. 2017 California wildfires served as a reminder that these incidents will keep recurring if proper measures are not in place. It is understood that there’s no form of structural design or architectural project which could have prevented the wildfire since it occurs naturally due to the topography and environmental factors. However, the impact of the fire could have been mitigated to a large extent. 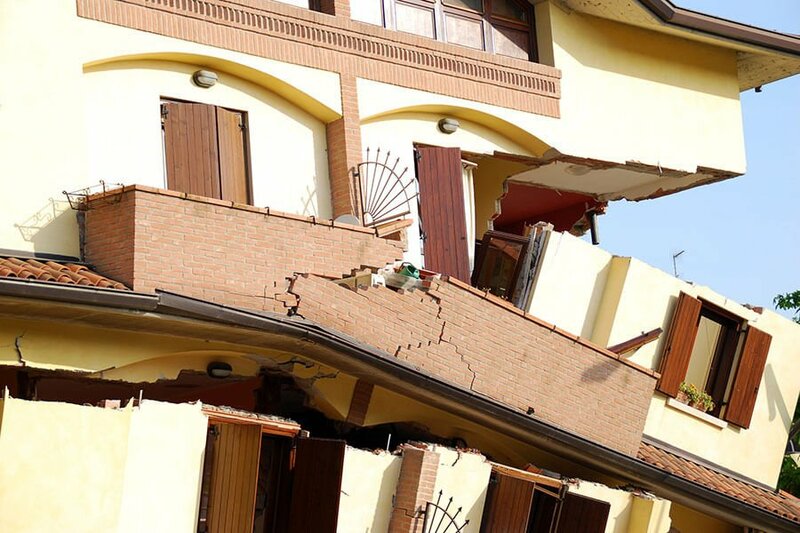 We wish to humbly offer our structural design services to victims of this disaster disaster in a bid to put an end to this menace. Architectural designs, according to studies, have a huge impact on the outcome of these wildfire seasons. 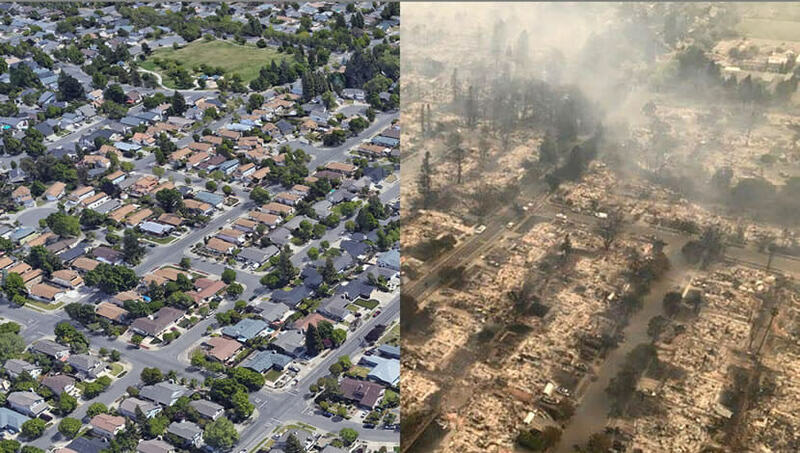 For example, it was observed that certain houses in Coffey Park survived this utterly cataclysmic wildfire. This was attributed to the structural designs employed, using brick fireplaces and concrete floors to mollify the effect of the fire. It is also believed that certain fire-resistant roofs, ember-resistant exteriors, and solid metal windows & doors help in protecting the building. 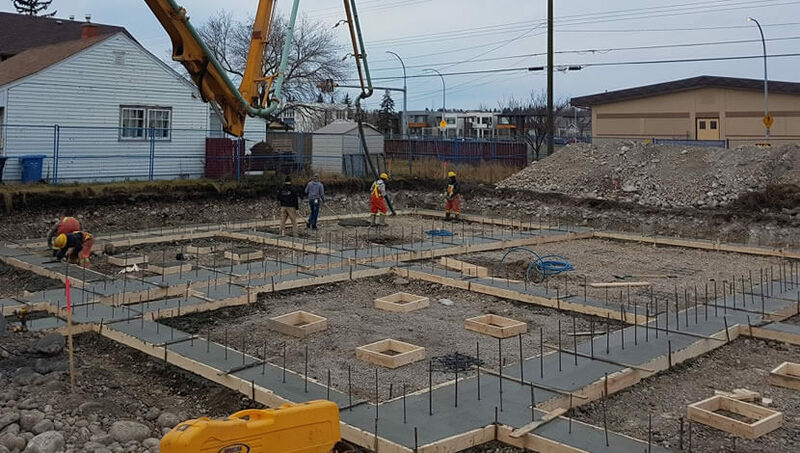 We are extending our services to the families and businesses in need, with the option of a complete rebuild to its prior state, or inclusion of new features. With such detrimental effects, homeowners and business owners are known to either go under or keep it going. Wildfires present an opportunity to begin anew. It gives you a clean slate and an opportunity to rewrite the pages of history. Even though this is not an easy task by any measure, it is immensely rewarding. For this reason, we urge you to consider the rebuilding process we have extended. 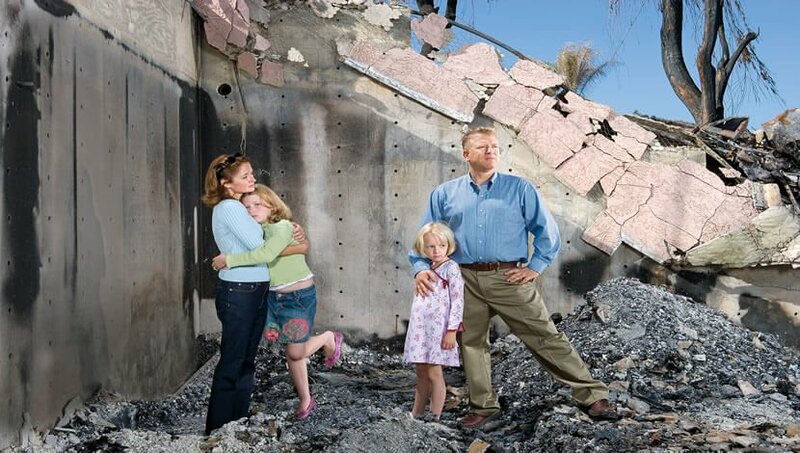 Rebuilding homes in California is now of great importance, especially homes which will withstand the impact of imminent wildfires. The soaring costs of fighting fire is one point to ponder. As at 1986, the government expended 202 million dollars to fight wildfire, now, tens of billions seem not to suffice. 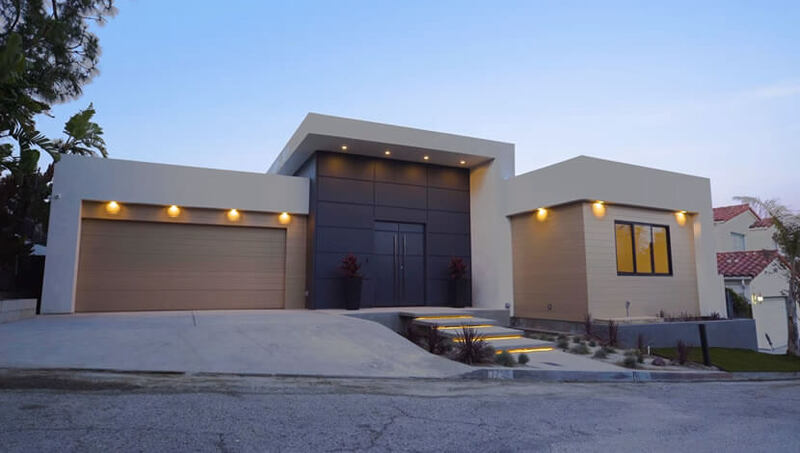 Employing structural design services to build your home in California might just be a wise decision. 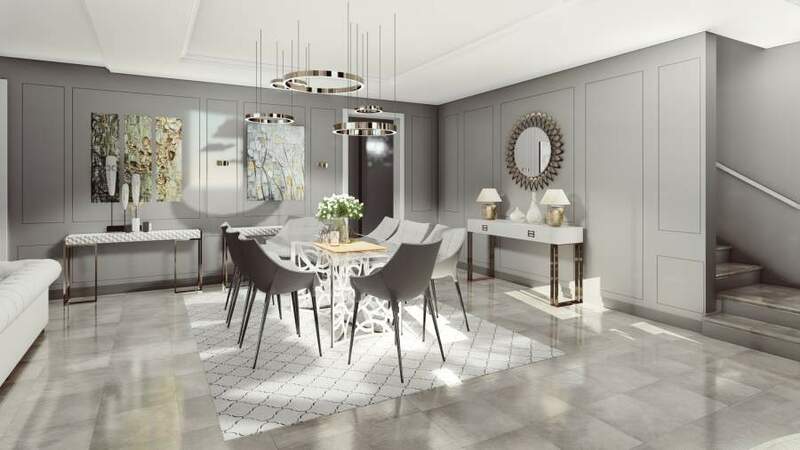 How Can 3D Rendering Revolutionize Interior Design?